Many cyber threats can be executed via a zero-day malware attack or be facilitated by malicious use of legitimate software, and can be hidden in the file system and several other areas of your network that may go unnoticed by security detection mechanisms and tools. 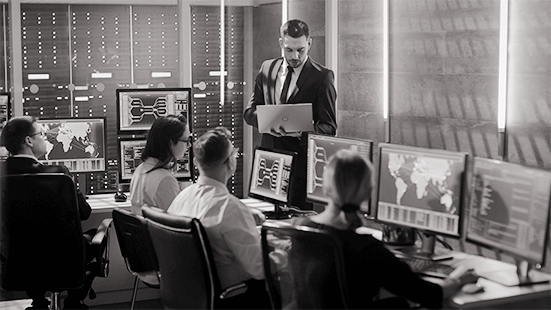 Our Threat Hunting & Response services go well beyond the standard capabilities already built into existing cyber security tools and products. Our service engages our expert security consultants to perform an in-depth inspection of the environment to identify threat indicators which would have otherwise remained undetected. While we continuously hunt for threats, our team’s focus goes beyond traditional detection and incident response. In modern environments, where adverse cyber events occur frequently and unpredictably, our focus is on continuous resilience. Our goal goes beyond just protecting you. Our goal is to make you stronger. Our goal is to make you resilient. In the classic technology-people-process tryad, we know that the human component is crucial to success. We use innovative cyber-security technology, AI, predictive analytics, machine learning, automation and orchestration to ensure that our services are scalable, provide repeatable outcomes, and leverage the data for advanced insights. However, from our experience the people component is the most crucial in cyber security. It takes a real person to take that extra step on an alert, or act decisively when things get really hot. We have been there and have done that. That’s the human aspect of cyber security. Something that we take very seriously, very personally. We become a part of your team, and support you where you need it the most. and vision the new reality. 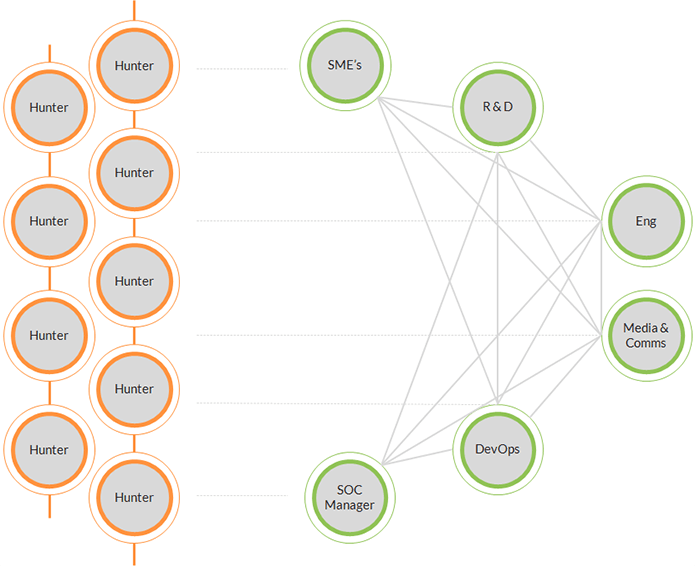 Threat Hunting requires Threat Hunters, and that’s how we structure our team. This is superior to the traditional layered structure, where their actions are only taken based on generated alerts, and it might take hours for them to get escalated. On our team, everyone is a Threat Hunter. Cyber Security is not rocket science. However, that’s exactly how we take it; we are on a mission to make your environment the most secure and the most resilient. To protect you against cyber attack, we need to be more passionate and committed to protecting you, than those that are working to break down your defences. We continuously improve our tools and techniques to maintain our advantage and keep one step ahead. If we have control, we are on a mission.